Vets say the New Year has witnessed two confirmed cases of the deadly kidney disease in Greater Manchester and Cornwall. The deaths have also been announced of another four dogs during December, bringing last year’s total number of fatalities to a record 52. 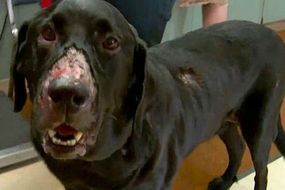 Since the very first case of Alabama Rot was reported in the UK in 2012 there have been 177 fatalities. None of the deaths reported today by Vets4Pets and Anderson Moores Veterinary Specialists occurred in fresh areas where there have been no previous incidence of the disease, which is officially known as cutaneous and renal glomerular vasculopathy (CRGV). The disease begins with open sores on a pet’s legs, often after a walk in wooded areas, but rapidly turns into catastrophic kidney disease. The 2019 deaths happened in Lostock, Greater Manchester, and Redruth in Cornwall. Those recorded in December occurred in Caterham and Woldingham, both Surrey, Putney in Greater London and Portreath, Cornwall. Scientists believe the way the disease is evident during the winter months and centred on certain areas of the country will produce the vital evidence to help them establish its cause and also lead to an eventual cure. Recognising the symptoms and getting urgent veterinary attention remains the key way of saving a pet’s life.